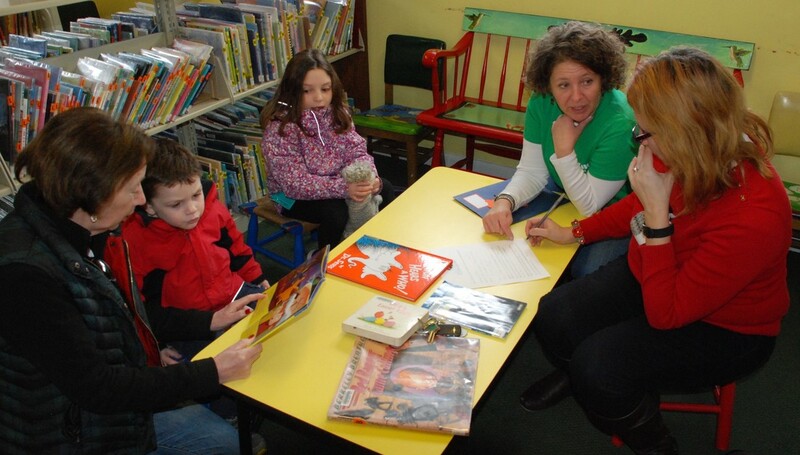 The Friends of Greenfield Public Library hosted a reading party on June 2nd! 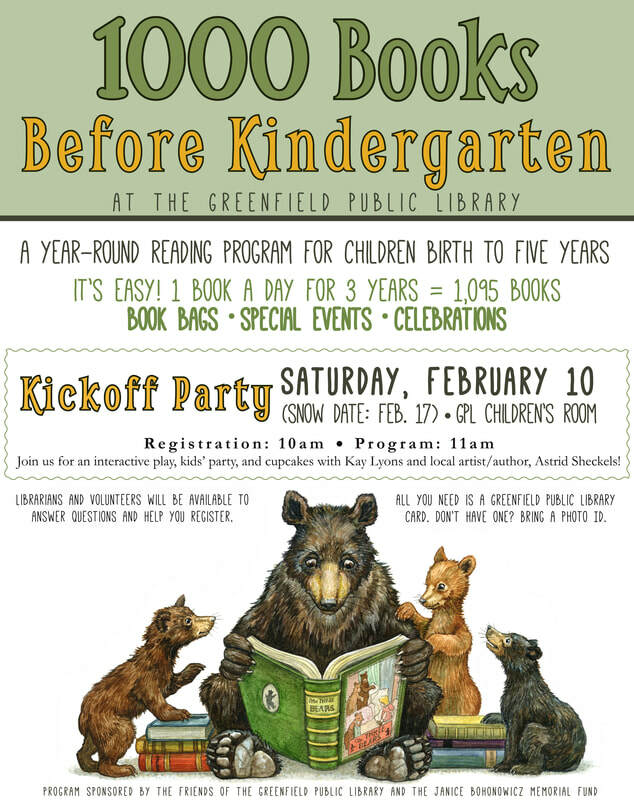 The event highlighted the success with and enjoyment of reading the children of the community are experiencing through the 1000 Books Before Kindergarten program. The event featured a read-aloud by Friends Board Member Cindy Pomeroy - a retired educator and lover of the book The Story of Ferdinand by Munro Leaf! Tom Carroll and Laurie Davidson are wildly entertaining, slipping seamlessly between song and movement, puppet play, and Spanish language arts. 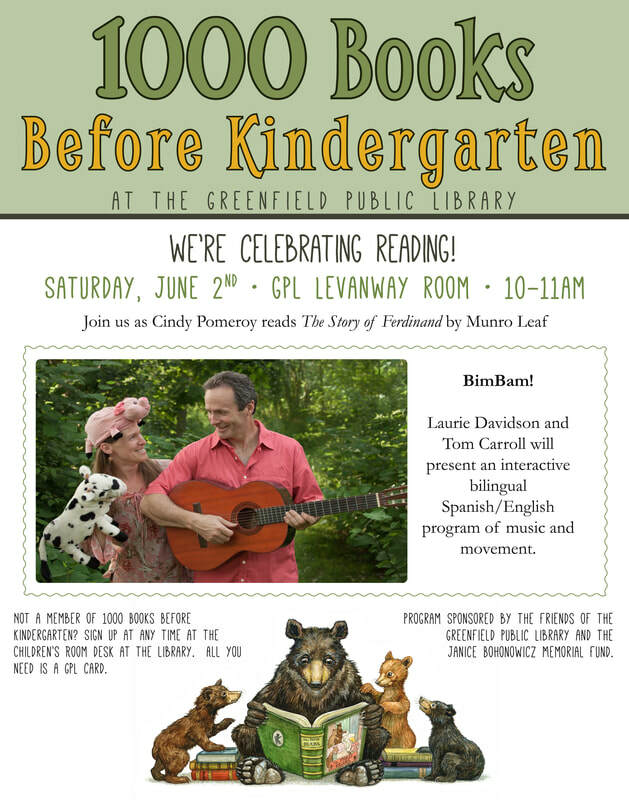 Laurie draws on her background as a bilingual teacher and director of Mucho Gusto Spanish to create a dynamic duo with guitarist Tom Carroll. 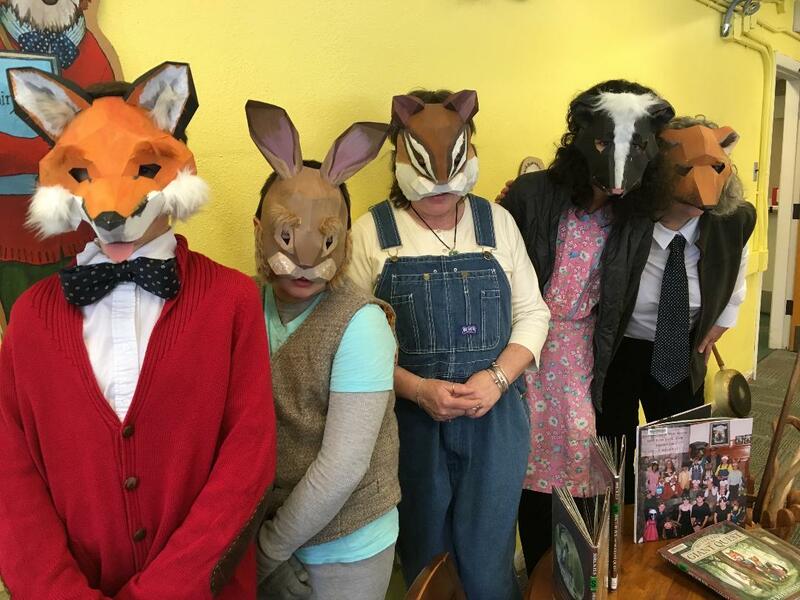 Their repertoire includes traditional and original songs that maximize audience participation and highlight vocabulary around family, animals, counting, greetings, and parts of the body, all mixed with a good dose of silliness. The program encourages participation through catchy melodies, simple phrases, and movement. BimBam’s virtuosic playing, extensive repertoire, and deep bag of tricks, combined with an intuitive grasp of their audience, leaves kids and grownups alike breathless with laughter and clamoring for more.